Marina Chaff Cutter is an ideal farm machine for farmers having few livestock. It reduces wastage of fodder. 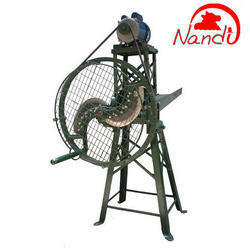 We are offering an excellent range of Nandi Electric Chaff Cutter to the esteemed customers. These machines are ideally used in dairy farms. 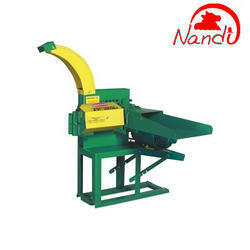 The entire range of Electric Chaff Cutter is widely used for cutting the fodder uniformly. Moreover, our products are known for their efficient ability to reduce wastage of fodder. 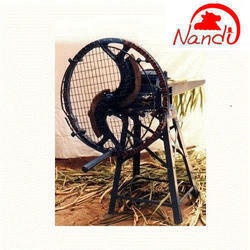 Blower Model Chaff Cutter Machine is an ideal farm machine for farmers having few livestock. Our excellent range of Manual Chaff Cutter is offered to the clients as per their requirements. Widely preferred by the farmers and others, these products are widely appreciated for their longer service life, resistance to corrosion, easy installation, smooth and accurate operations and low maintenance. These machines can cut fodder uniformly, which improves the digestion of cattle. Looking for Chaff Cutter Machine ?